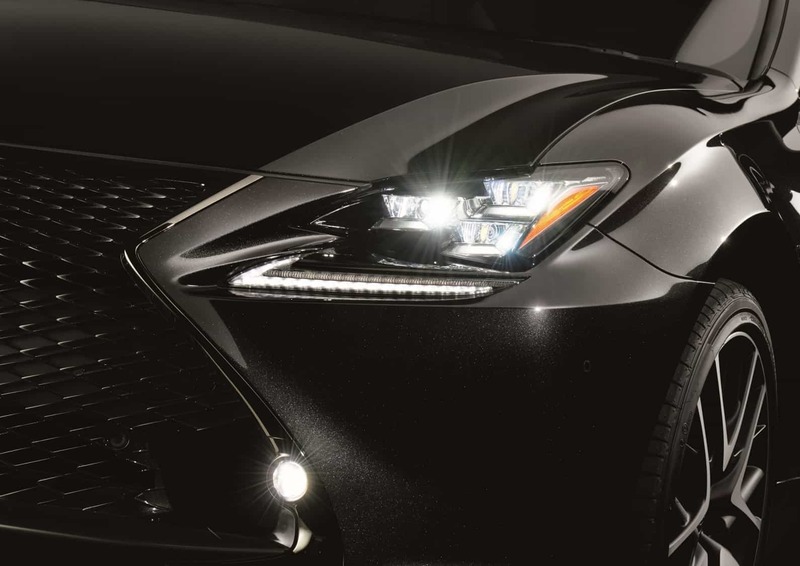 The athletic lines of the Lexus RC 300h F Sport coupe are given dramatic added visual impact in a special new Black Edition model, which will go on sale 1 May following its appearance at the 2018 Geneva International Motor Show. The F Sport spindle grille, with its graduated “L” motif mesh pattern, has a new dark chrome finish, as do the new-design, circular LED fog lights, positioned on the margins of the lower grille section, adding to the car’s powerful front lighting signature. 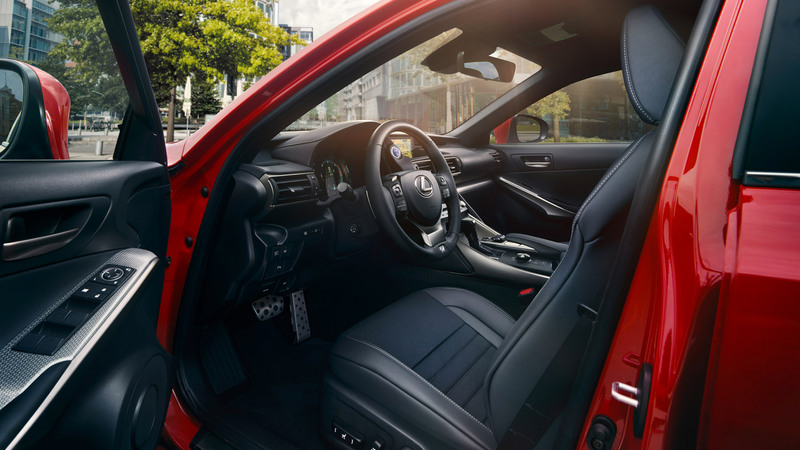 The 19-inch F Sport alloy wheels have a contrast matt black and bright machined finish, while the window mouldings are in black stainless steel, toning smartly with the coupe’s Graphite Black metallic paintwork. The F Sport spindle grille, with its graduated “L” motif mesh pattern, has a new dark chrome finish, as do the new-design, circular LED fog lights, positioned on the margins of the lower grille section, adding to the car’s powerful front lighting signature. In terms of equipment, the Black Edition benefits from the F Sport Premier Pack specification, which includes a 17-speaker Mark Levinson surround sound system, sunroof, Blind Spot Monitor and Rear Cross Traffic Alert. Other key features include a reversing camera, Lexus Premium Navigation with 10.3-inch multimedia display, Lexus Safety System+ active safety and driver assistance functions, auto-dimming rear-view mirror, rain-sensing wipers, F Sport front seats with power adjustment and integrated heating and ventilation, power steering column adjustment, dual-zone climate control, LED headlights in a “triple-L” configuration and integrated exterior door handle lighting. The RC 300h F Sport Black Edition is powered by Lexus’s self-charging hybrid electric powertrain, featuring a 2.5-litre petrol engine and a powerful electric motor, producing a maximum full-system output of 220bhp/164kW. Smooth and responsive, yet highly efficient, it delivers combined cycle fuel economy from 56.5mpg and CO2 emissions from 116g/km. The new model is on sale in the UK from 1 May, price £45,165.